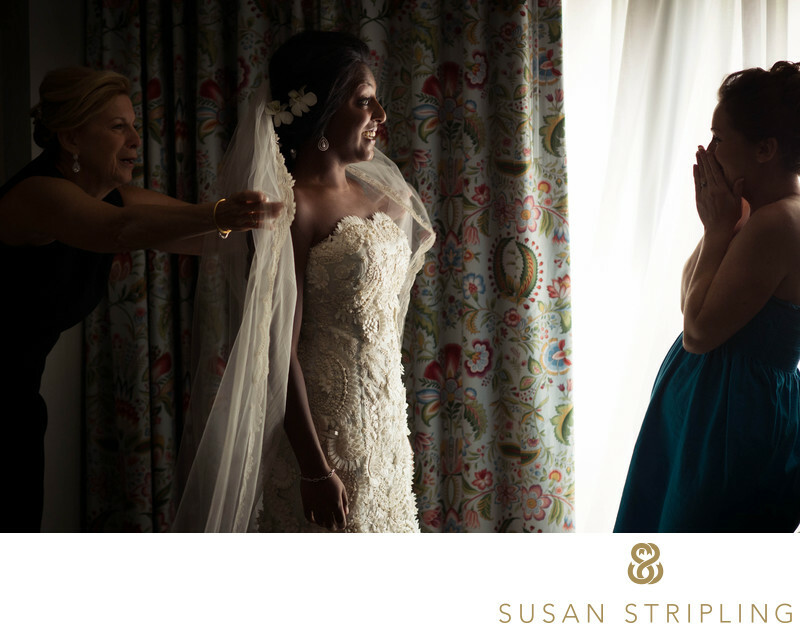 The getting ready part of a wedding day is one of my favorite parts. 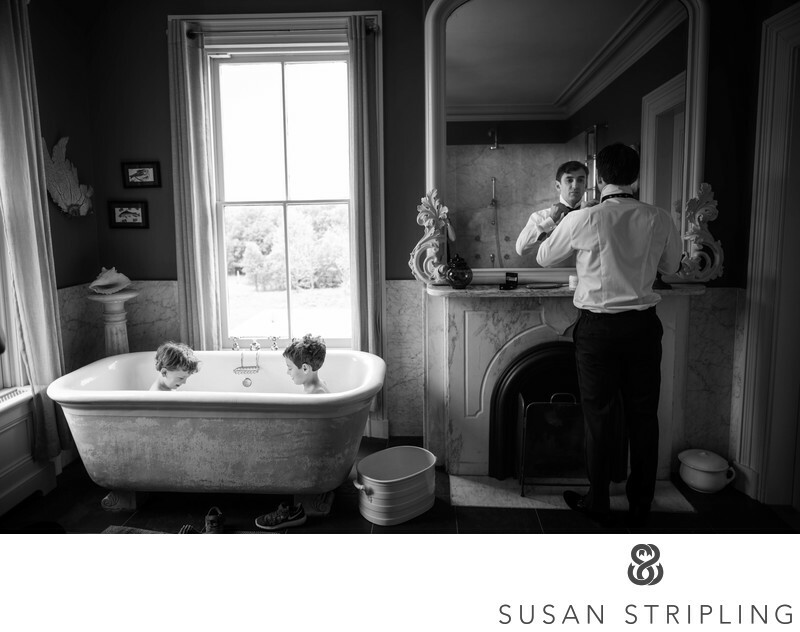 At this adorable wedding, the groom got ready in the same room the two ringbearers were taking a bath in an old clawfoot tub!I love watching the almost-newlyweds in the moments leading up to their first look or their ceremony. The anticipation, the preparation, the nerves...I love documenting it all. 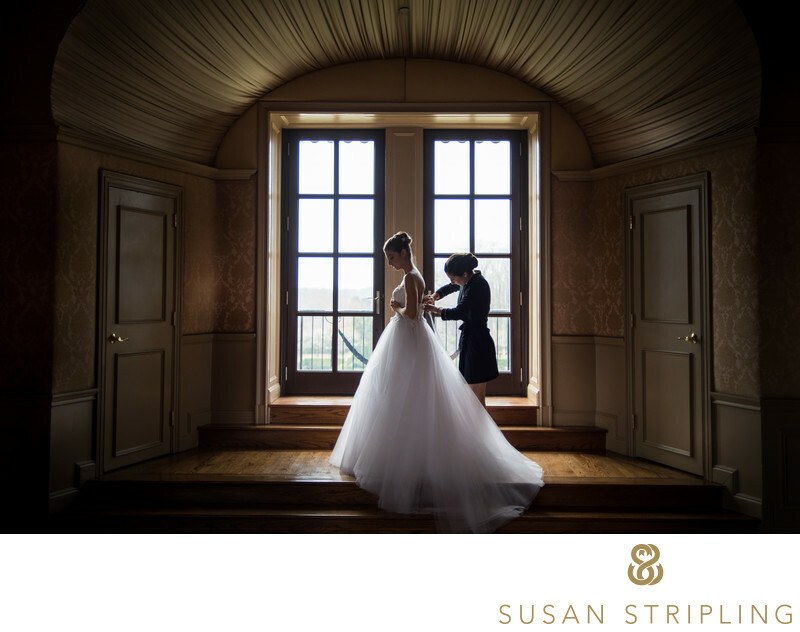 Whether you're getting ready surrounded by dozens of your best friends, or getting ready in a quieter setting is more your style, I would love to be the wedding photographer to capture these moments for you. From the big moments with family and friends to the small moments alone, every second of the preparation process brings you one step closer to the minute you become marriedAt this 2012 wedding at the Pearl River Hilton in Pearl River, New York, we had gorgeous light in the suite where the bride got married. I truly can’t decide what is my favorite thing about this wedding picture. Perhaps it’s the fantastic look on the bride’s face? Perhaps it’s the wonderful reaction from her bridesmaid? Perhaps it’s the great expression on her mother’s face? All three of these totally genuine reactions are unscripted and unprompted, which is just the way I like wedding day moments! I also love the bride’s gorgeous Oscar de la Renta wedding dress, a dress I’ve admired since the first time I saw it a year prior. It’s a luscious lace dress with a pale, pale blue undertone and is truly a work of art. Keywords: new york (1395), The Pearl River Hilton (15). 1/160; f/2.8; ISO 1800; 85.0 mm.